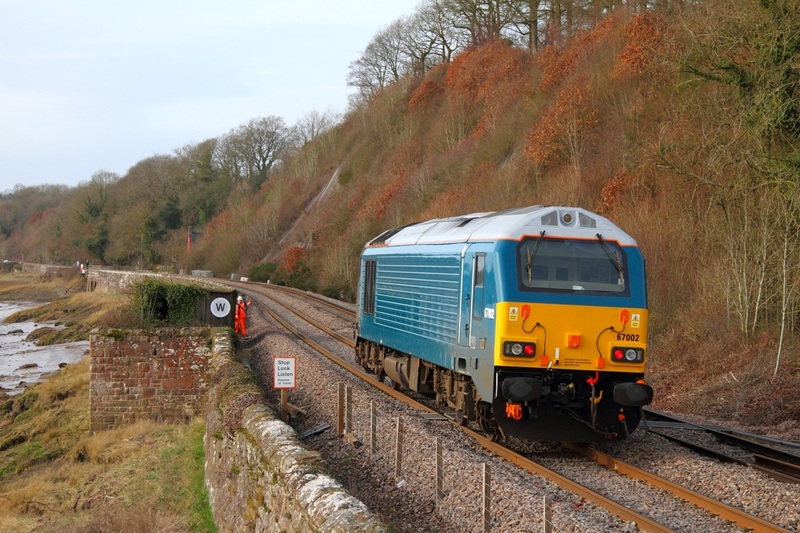 DB Schenker's Arriva Blue 67002 powers the 0Z61 Gloucester to Cardiff Canton route learner at Gatcombe on the 14th February 2012. 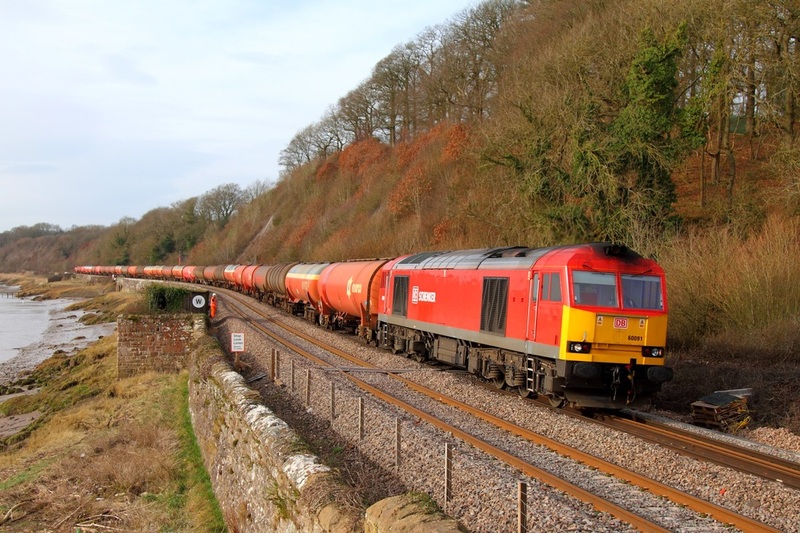 DB Schenker's 60091 powers the 6B13 Robeston to Westerleigh loaded murco bogie tanks at Gatcombe on the 14th February 2012. 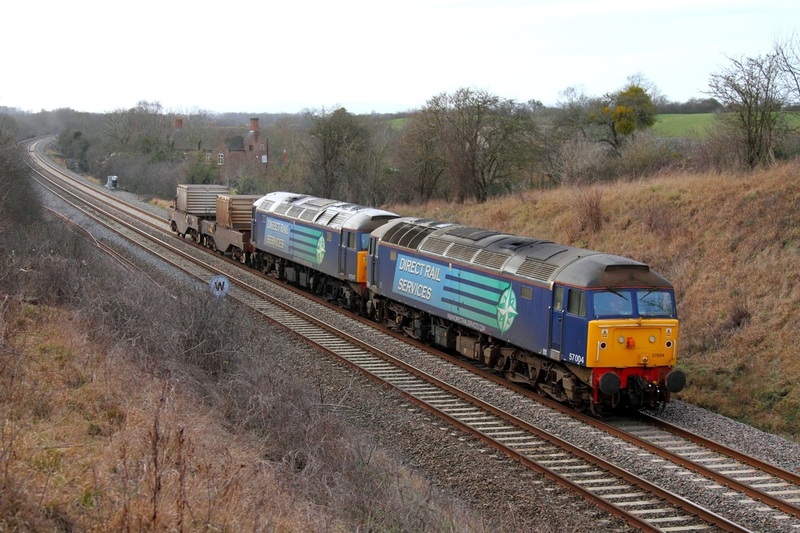 DRS 57004 leads 57007 on the 6M67 Bridgwater to Crewe Nuclear flasks at Coaley, Cam and Dursley on the 14th February 2012.